The Falls Road curfew continued throughout the day. A man was killed by the British Army. 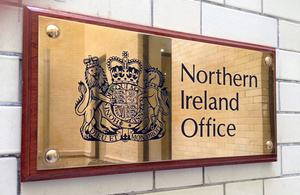 The Northern Ireland Office (NIO) published a White Paper, The Northern Ireland Constitution (Cmnd. 5675), which set out government plans to hold elections to a Constitutional Convention which would look for an agreed political settlement to the Northern Ireland conflict. In a statement issued on behalf of the hunger strikers, they said that they had no objection to any changes in the prison regime being applied to all prisoners. Catholic Bishops in Northern Ireland warned against the dangers of the reintroduction of the death penalty. They also called for a ban on the use of plastic bullets by members of the security forces. The Combined Loyalist Military Command (CLMC) announced the end of the ceasefire, as of midnight, that had begun on 29 April 1991. The Sunday Tribune (a Republic of Ireland newspaper) carried an interview with Gerry Adams, then President of Sinn Féin (SF). Adams was reported as stating that Republicans might accept joint authority as “part of the process towards an end to partition”. John Major won the contest for the leadership of the Conservative Party. 60 families had to be evacuated for a time from their homes on the Garvaghy Road, Portadown, following a bomb warning from Loyalist paramilitaries. As tension mounted in the run-up to the planned Drumcree parade on 6 July 1997, thousands of people left Northern Ireland to avoid the kind of trouble and disruption witnessed in 1996. For the fifth year in a row attention was focused on the Orange Order parade at Drumcree, Portadown, County Armagh. Hundreds of Orangemen from across County Armagh paraded to Drumcree Churce. However, the Orange Order was refused permission in a determination by the Parades Commission to parade down the mainly Nationalist Garvaghy Road. The security forces had erected a steel barricade across the road to halt the march but the subsequent protest passed off relatively quietly compared to previous years. There was only one incident at a security barricade when one baton round (plastic bullet) was fired. There were clashes between police and Loyalists on 5 July 1999. Following ‘The Way Forward‘ joint statement by Tony Blair, then British Prime Minister, and Bertie Ahern, then Taoiseach (Irish Prime Minister), the two men called on the Irish Republican Army (IRA) to make a statement to ease Unionist fears over decommissioning. Died five days after being shot by sniper while on British Army (BA) mobile patrol, Whiterock Road, Ballymurphy, Belfast. 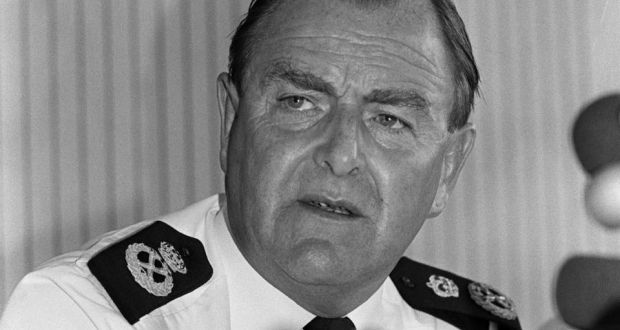 Died three days after being shot by undercover British Army (BA) members, while driving his taxi past North Queen Street Royal Ulster Constabulary (RUC) base, Belfast. Shot while waiting at roundabout, for lift to work, Greystone Road, Antrim, County Antrim.